Close your eyes and imagine Ryan Reynolds as a struggling young folk singer trying to make his way in 1960s New York City. If you just can’t conjure it, don’t feel bad: According to Ryan Reynolds, the Coen Brothers couldn’t wrap their minds around it either, which is why he didn’t end up getting cast in Inside Llewyn Davis. Speaking with Taraji P. Henson for Variety about the last film he auditioned for, Reynolds explained how he just wasn’t the right fit for Joel and Ethan Coen’s melancholy character study. 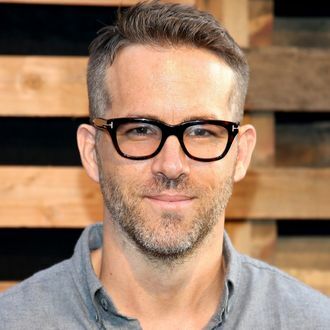 “I auditioned and failed for the Coen brothers,” Reynolds said. “It wasn’t the right fit, mostly because they’re very high class. They were just quietly shaking their heads, like, ‘What are you doing here? Do you have a SAG card? Or do you have the Canadian version? How did you get here?’” So it wasn’t a victory for Reynolds, but if the Coens ever decide to make a superhero movie, we’ll see who’s calling who for advice then!